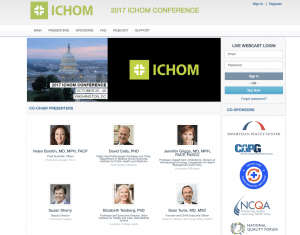 ICV again provided our Live Webcasting Service in DC for 2 live Webcasts of Health and Medical related forums. the Live webcast for Population Health and MACRA was a 3 day multi room conference with over 200 Speakers. ICV webcast the event live with video and synchronized Powerpoint slides. We also webcast the numerous breakout track sessions in 7 other rooms at the same time with numerous breakout sessions. ICV deployed the content as an On-Demand archive of streaming video in a Media Portal. We use our custom media portal to manage the streaming video technology, deliver the streaming content as well as for user registration and access control. The Media Portal functions as not only our control panel for the webcast but also as the destination for viewers. With ICV’s Live Webcasting Servicesyou also get a Streaming Media Portal where you can launch events, publish websites and setup live webcasts of major conferences streaming to global live audiences. Are you webcasting conference events? 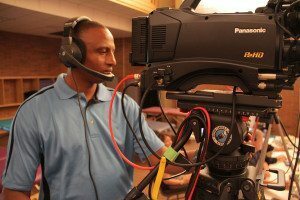 Need Live Webcasting in Washington DC? We can manage the entire webcast process for you. Call us and tell us what you are trying to webcast.